Many active traders make the mistake of assuming that a winning system for swing trading stocks needs to be complicated. On the contrary, the best trading strategies are typically the most simple because they can be more easily and consistently followed. 1. 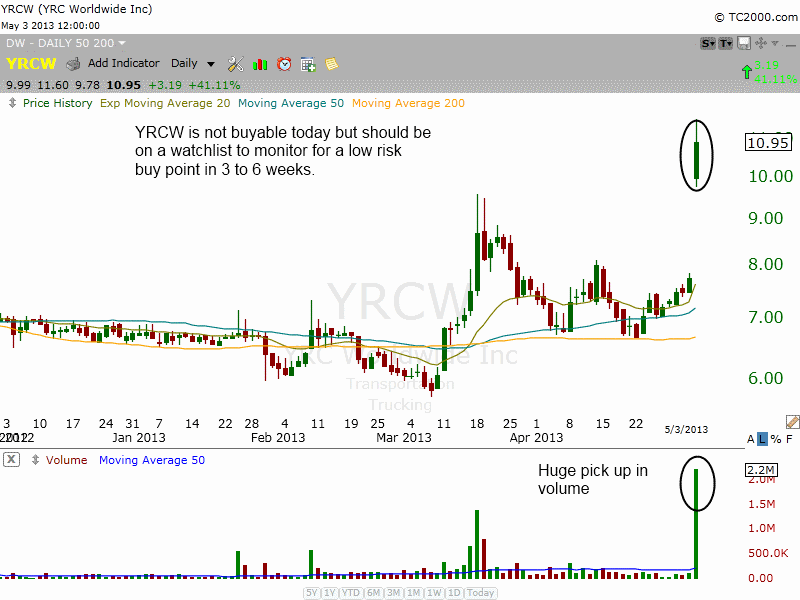 Combo Setup – The stock must have a combination of great earnings growth and strong technical price action (some type of bullish chart pattern). Typically, these stocks are growing their earnings at a rate of 30 to 40% (or more) quarter after quarter. Furthermore, these stocks will usually have an IBD relative strength rating of 80 or higher. Since we consider these stocks to be A-rated, they can usually be held for several weeks or more. 2. Price momentum - With this swing trade setup, earnings growth is not important, but the stock must have a top relative strength rating (95 or higher) and belong to an industry sector group that is outperforming the S&P 500. These stocks can be held for a few days to a few weeks. Our recent trade in Celldex Therapuetics ($CLDX), a biotechnology stock with a relative strength rating greater than 95, is a good example of a swing trade setup based purely on momentum (bullish price action). Last month, we netted a 15% gain on our swing trade in $CLDX and will soon be posting an educational video review of that trade on our blog. 3. Blast Off - Neither earnings growth nor a top relative strength rating is necessary with this type of swing trading setup. We are simply looking for a monster spike in volume on the daily chart, combined with a 4% or more gain in that same session. This indicates huge demand. If demand is sharply greater than supply, the price has no choice but to surge higher (which is why volume is such a great technical indicator). With this setup, the one-day volume spike should be at least 2.5 to 3 times greater than the 50-day moving average of volume. These stocks can be held for a few days to a few weeks (as long as the price action remains excellent). 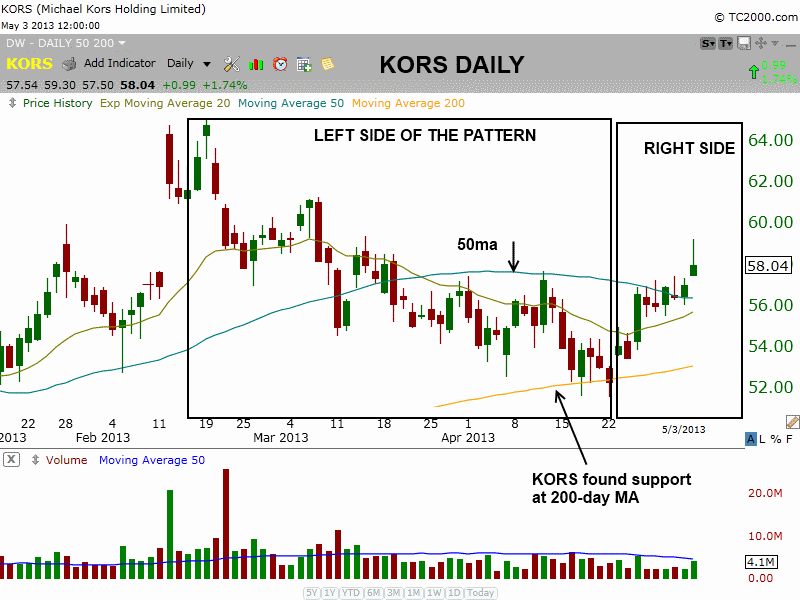 A current example of the “Combo” setup (#1 above) can be found in Michael Kors Holding Limited ($KORS). So, let’s take a closer look at how this trade meets our parameters. For starters, the expected earnings growth of $KORS in the coming quarter is 81%, so the requirement for strong earnings growth is definitely covered. Its IBD relative strength rating is only 71, but that is compensated for by the monstrous earnings growth the company has been experiencing. 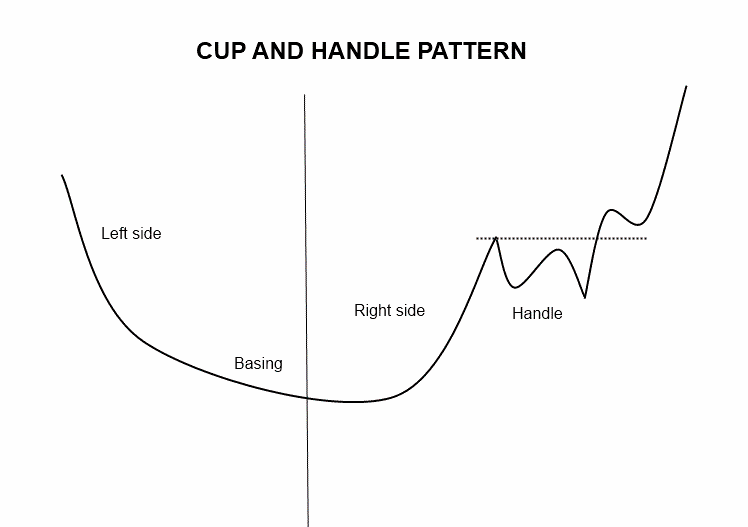 Next, let’s take a look at the technical chart pattern. If not already holding this stock, the setup is definitely NOT buyable for swing trading right now (we never chase stocks). However, if/when it forms a proper base of consolidation from here, we can begin to look for a low-risk buy point (at which time we would notify Wagner Daily subscribers of our exact entry, stop, and target prices). As previously mentioned, we will soon be posting on our stock trading blog an educational review of last month’s winning swing trade in $CLDX, which will be an example of our “Price Momentum” setup.